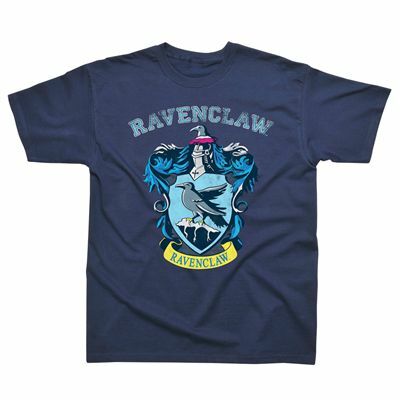 The Harry Potter Ravenclaw t-shirt is navy blue with a print of the Ravenclaw emblem and its eagle. Full of witty and wise wizards, this school house has been home to a number of well-known sorcerers, and this 100% cotton short-sleeved tee will be enjoyable to wear and be a fantastic present for fans of Harry Potter. for submitting product review about Harry Potter Ravenclaw T-Shirt.